Is your Windows 8 PC beginning to perform slowly because you have too many files on your computer? Are you searching for a way to clean your Windows 8 PC and bring back the speed that your unit used to have? Well, if you do not want to end up spending high costs to pay for repair services, start cleaning up your Windows 8 PC now. And to help you with that, here are three tips that you can use. Remove windows store apps irrelevant to you. Switching from a lower version of Windows to Windows 8, there could be Windows store apps that can be added to your device after the update. On the other hand, you wouldn’t really be using most of the additional apps. So, evaluate your usage and see which among the apps aren’t useful to you. Remove the ones that you are no longer using, as they just eat up most of your device’s space for memory. Uninstall the programs you aren’t using from your Control Panel. In relation to the previous point, you should also consider removing from your Control Panel all of the programs that you are no longer using. Having too many programs or software installed in your Drive C can slow down and reduce the quality of the performance of your device. Uninstall all unnecessary programs from your Control Panel, especially the ones that require huge disk spaces. Finally, cleanup your hard drive every once in a while. As much as possible, do not store files in Drive C, especially if you have huge memory storage spaces left in other drives. As what was mentioned earlier, if run out of storage space on your Drive C, your device will certainly perform slowly. So, if you have other disks with huge storage spaces left, choose to have your files stored in them to avoid slowing down the performance of your device. 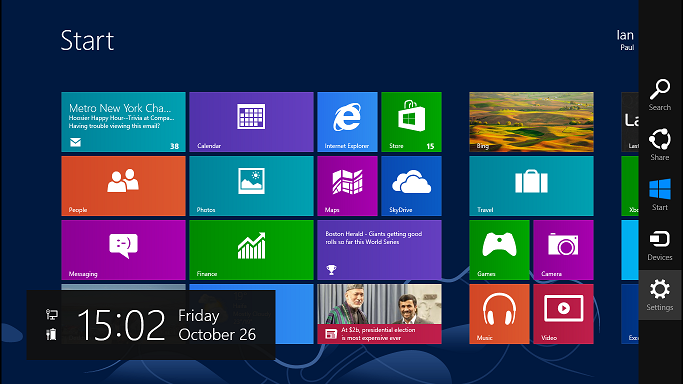 Cleaning up your Microsoft Windows 8 PC comes with many benefits, especially when done regularly. There are various ways on how you can do this by yourself and avoid the high costs of having to get a laptop or PC repair. So, if you wish to save a lot of money and save your device from being damaged, follow the steps mentioned above and keep your device clean from files, apps and programs that are no longer useful to you.